The holiday season is here! Do you have a social media plan in place to increase sales over the next month? If your answer isn’t a confident “yes,” then we need to have a little chat about the importance of social media marketing during the holiday season! Any business owner should know by now that social media marketing is an integral part to maintaining a successful business. Social media can increase brand awareness, allows you to interact with your target audience, and can ultimately turn your online audience into customers—if you’re doing it right! Last year, 51% of internet users tapped social media to get gift ideas for the holiday season, while 50% used Deals4Boomers to find discounts, coupons, and other sale information for their favorite brands. What does that mean for you? That means that during the holidays, half of U.S. shoppers are actively looking for things to buy! TELL ME. WHAT OTHER TIME DOES THIS HAPPEN OTHER THAN THE HOLIDAY SEASON?! It doesn’t. That’s why it’s so important for those shoppers to SEE the products or services you have available during this time. Carousel Ads on Facebook are a highly effective way to showcase a variety of products that can be directly linked to your website with a call-to-action button. Just make sure your images are engaging and appealing! Like campaigns are a very important part of paid social. Putting ad dollars behind a campaign that specifically calls users to “Like” your Facebook page brings in more followers, which means more people see your posts. 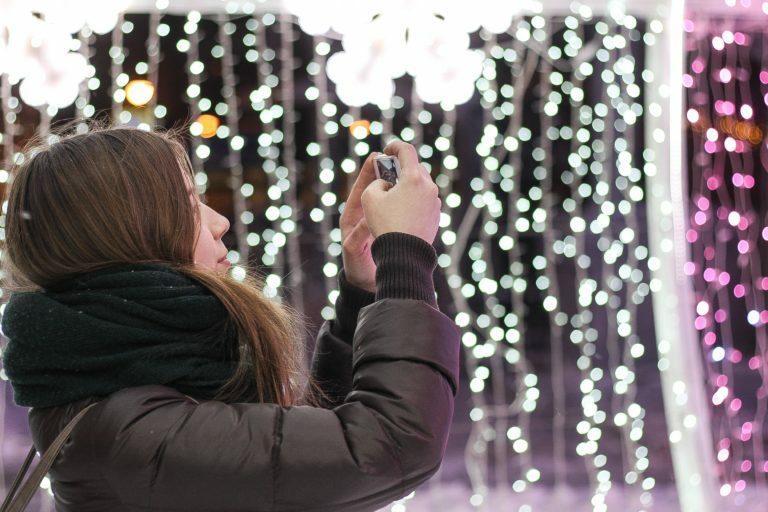 Integrate your social media efforts to amplify your marketing tactics this holiday season. Post about deals, promotions, or online contests to both increase engagement online and to get people either into the store or to visit your website. As mentioned above, 50% of U.S shoppers look to social media for gift ideas. How great would it be if instead of clicking a link to get to the product they want to buy, they could just hit a button and buy it without ever having to be redirected?! Well, that totally exists. Pinterest has a “Buy It” button, where you can pay for what you want within the website. The same goes for Facebook and Instagram. This makes shopping super easy for customers. It saves them time and cuts out the distraction of being redirected to another webpage (and of course, makes you money). If you want to be super creative, you can create an entire ad campaign focused around the holiday. For this type of tactic, it’s important to speak to your customer’s values, interests and desires, rather than pushing your product onto them. The most successful ads this time of year don’t even mention a certain product at all.